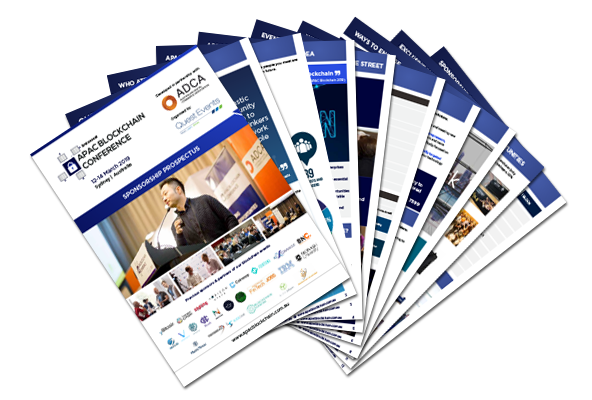 As the Australian Digital Comerce association, our charge is to speak at a national and international level on behalf of the nation’s leading DC businesses. The organisation’s founding mandate is intended to act as the essential connection between merchants, industry, governments, regulators, financial institutions and influential policy forums which give direction to this emerging industry at home and abroad. A private sector membership congress, ADCA is a unique business organisation in Australia with the intention of having our members form a National Member Network made up of the peak economic sectors across the nation. IBM Blockchain enables you to increase trust, accountability with transparency across your business network and the ecosystem in which you operate. At IBM, we are helping organisations of all sizes, across many industries to transform processes, to build new business models and new value. Our platform - the IBM Blockchain Platform - allows business networks to develop, govern and operate blockchains in a secure managed environment. For specific business use cases, our Blockchain Services team will help you unlock business value, develop new applications, and transition from pilot to production. We are Bitcoin Australia. We tell the story of Bitcoin, what makes it exciting, interesting, safe and trusted. We are also Australia’s major Bitcoin exchange and offer the easiest way to buy and sell Bitcoin with instant delivery, 24/7. Additionally, our Investor Services enable new opportunities such as cryptocurrency superannuation investments, large volume trades, and more. We are ambassadors for Bitcoin and are proud to be developing the industry and technology. Regulation Asia is the leading source for actionable regulatory intelligence for Asia Pacific markets. Since 2013, our audience and subscription base have grown to include regulatory bodies, exchanges, banks, asset managers and service providers, allowing us to play a key role in the regulatory agenda. Visit www.regulationasia.com for more information or connect via LinkedIn or Twitter. Wholesale Investor is Australasia’s leading private investment platform connecting innovative private, pre-IPO and listed companies with high net worth and professional investors looking for investment opportunities. Through the Wholesale Investor platform and exclusive events, we provide greater visibility for innovation to our extensive global network of 19,700+ investors and via our world-leading partners.